As I walked past a lineup of vintage Mercedez-Benz cars and through a hallway walled with the history of the carmaker, I was impressed by the finesse and elegance displayed by the brand throughout the years. From old to new, each model has its own identity but remains true to its make’s DNA. 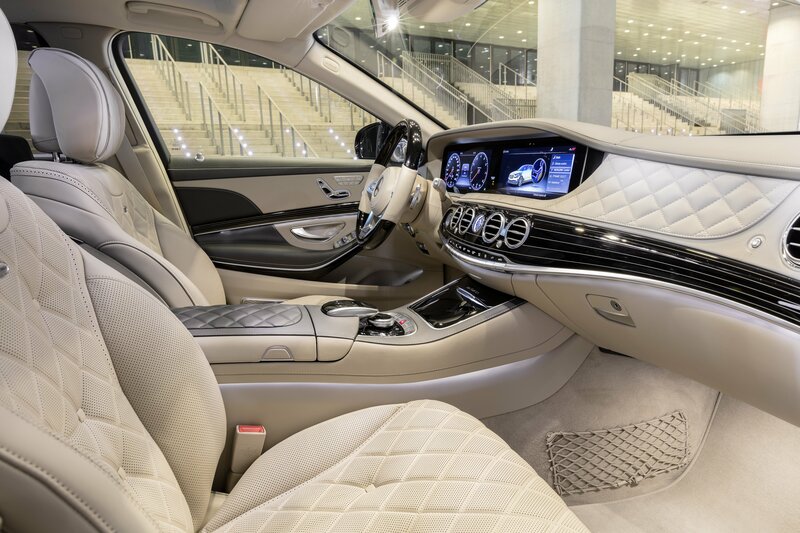 And the new Mercedes-Benz S-Class was no exception. Its first appearance in the Middle East took place at Manarat Al Saadiyat-Abu Dhabi, during a lavish evening where retro met contemporary, which we came to discover is also what the new flagship model is about. Immersive experiential zones introduced us to lovely fragrances the car is equipped with, along with superior elements and special features that can be customized based on customers’ preferences. The mini experiences lead us to an extravagant grandstand visual display where the new S-Class was revealed, with a presentation by President and CEO of Mercedes-Benz Cars Middle Mark De Haes who explained the model’s innovative capabilities and the brand’s exciting new ventures that are reinventing the future of cars and creating new mobility solutions. Always ahead of its time, the 2018 line is the result of 114 years of pioneering evolution, making it unchallenged as the undisputed leader in automotive engineering. The new S-Class is all about heightened, smart driving: driver assistance systems increase practicality; the latest automotive technology expands functionality; intelligent software adapts to drivers’ preferences… Comfort and wellness are also key features of the new vehicle: in-seat massage options, temperature control, interior cabin climate control, mood enhancing lighting, sound options to name a few. The fine quality interior shows off impeccable craftsmanship that is complemented by the stylish exclusive exterior with its sleek chrome finishes and distinctive Multibeam LED headlights. The various models boast major characteristics and innovations, which, with their subtle different physical attributes, offer customers a wide -possibly tough- choice. The S 560 for example is boosted by a new V-8 engine with 469 Hp and 700 Nm, making it among the most economical V-8 petrol engines in the world! The S 63 4MATIC+ with its new AMG 4.0-litre V-8 Biturbo engine has a sprint time of 3.5 seconds from zero to 100 km/h, placing it up there with full-on sports cars. Focused on driving dynamic, the S 65 is equipped with AMG sports suspension based on Magic body Control with curve-tilting function, and prepares for bumps before the vehicle runs over them -now if that’s not an amazing much-needed feature I’m not sure what is! 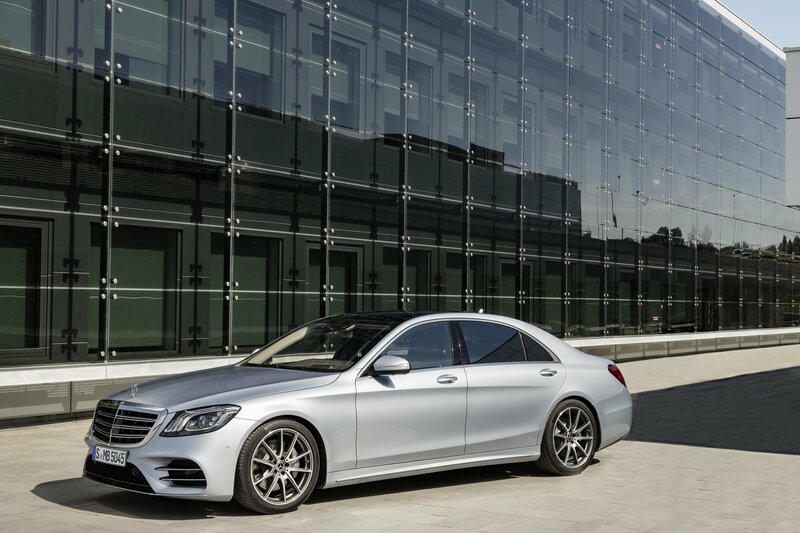 All in all, the new Mercedes-Benz S-Class line is quite impressive. The models are understatedly lavish, classy yet not opulent in a “did you see my car” kind of way, and seem to offer one heck of a comfortable luxury drive. Can’t wait to try it out! Next Post Zenith Distinguished Gentleman’s Ride Pilot Ton-Up: Join The Movement!